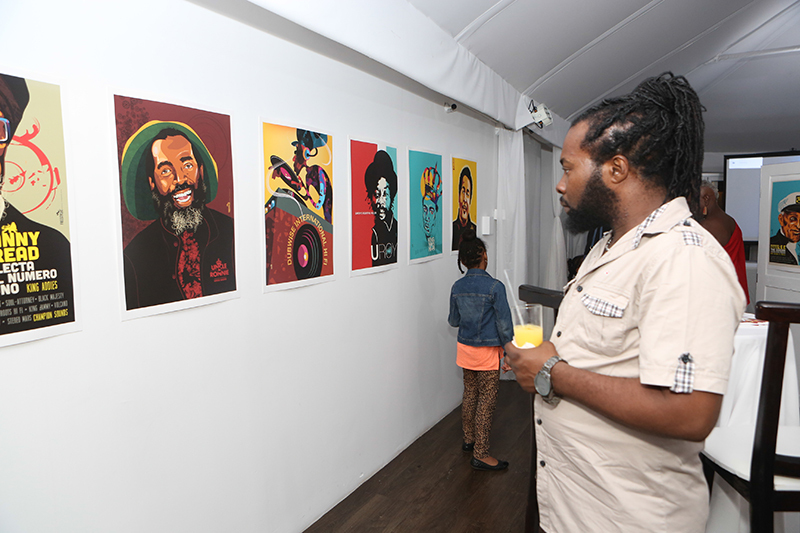 For the second time in four years, the work of Michael ‘Freestylee’ Thompson is bring exhibited in Jamaica. 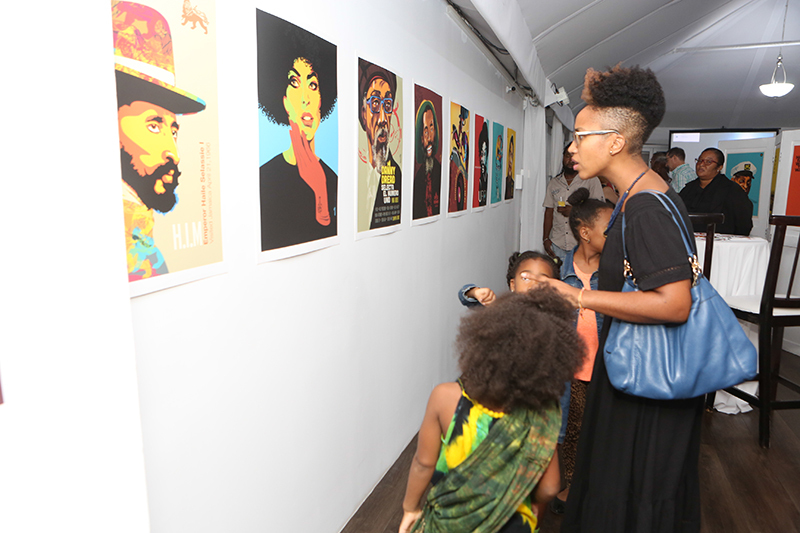 In 2013, soon after the publication of Global Reggae, for which Michael designed the cover, an exhibition of his posters was mounted at The University of the West Indies Museum. 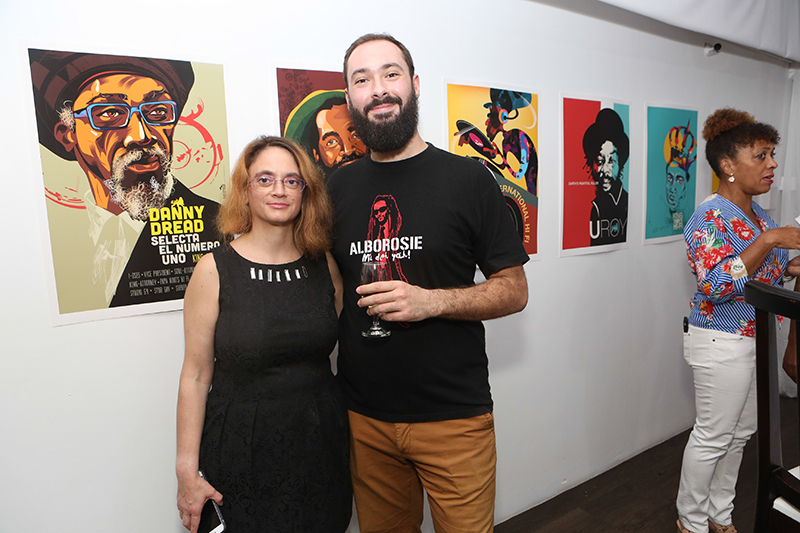 Maria Papaefstathiou, who designed the book, brilliantly deployed black and white images of Michael’s reggae posters to frame each of the sixteen chapters. 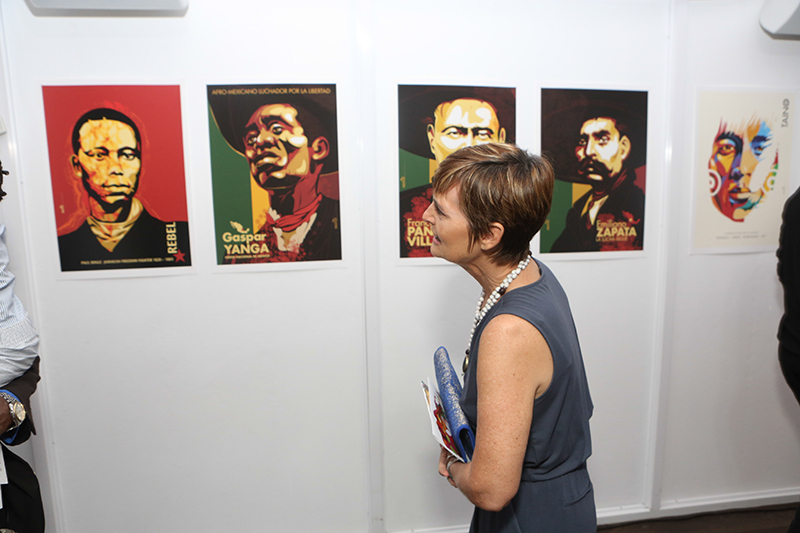 The full-colour posters were used for the exhibition curated by Dr. Suzanne Francis Brown, director of the Museum. 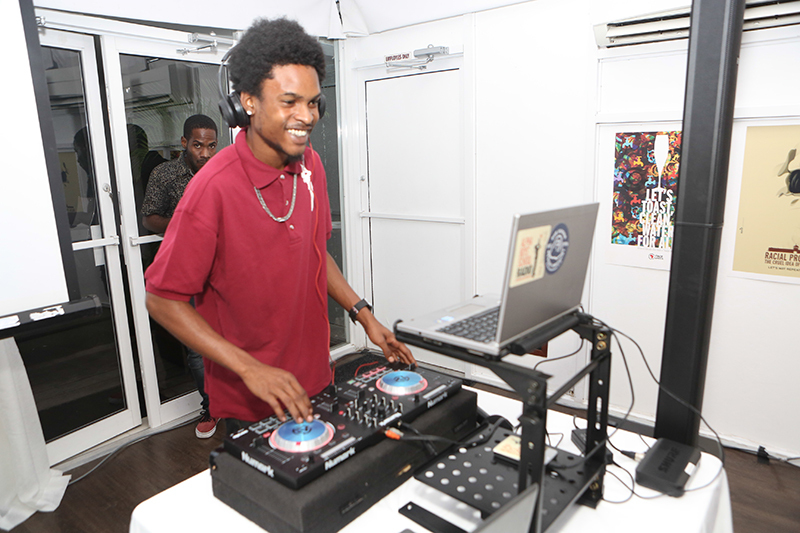 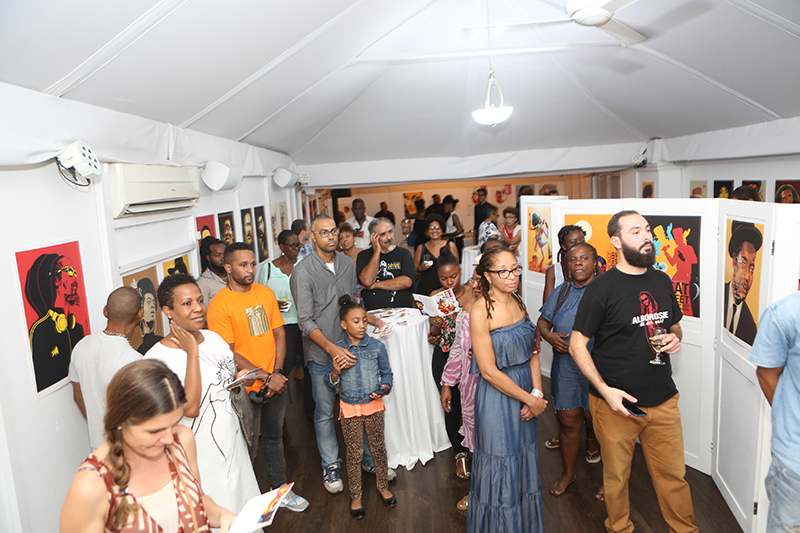 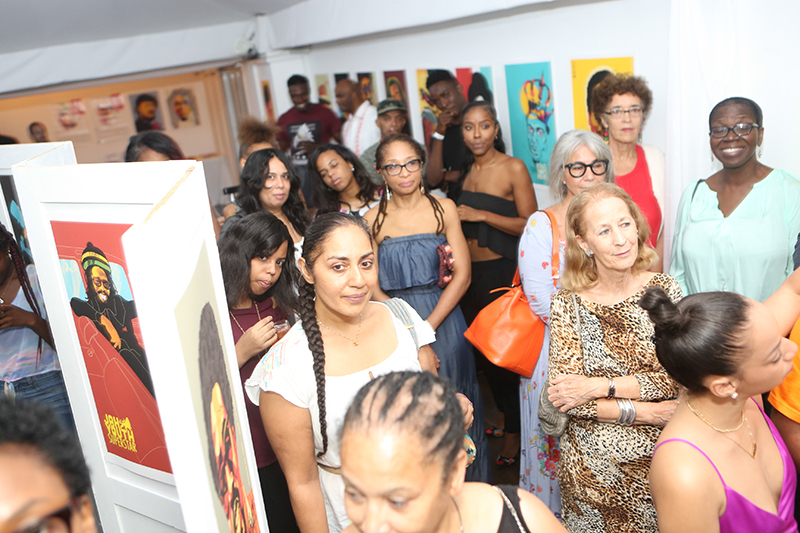 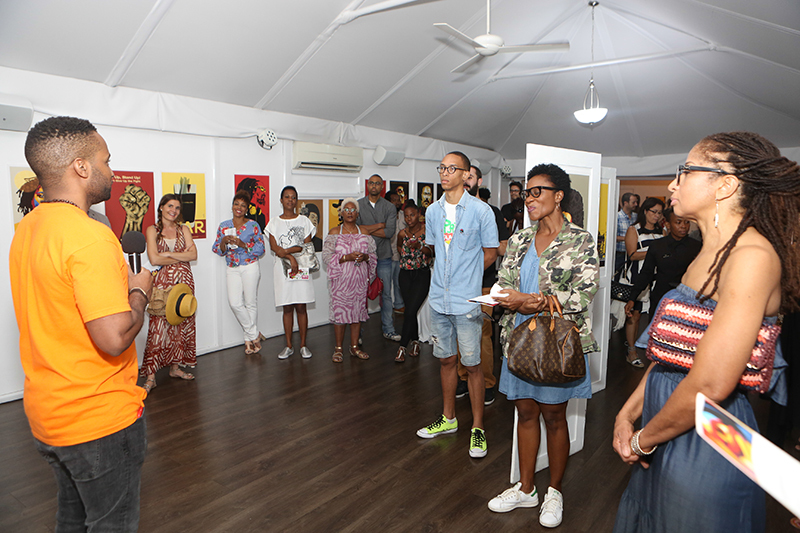 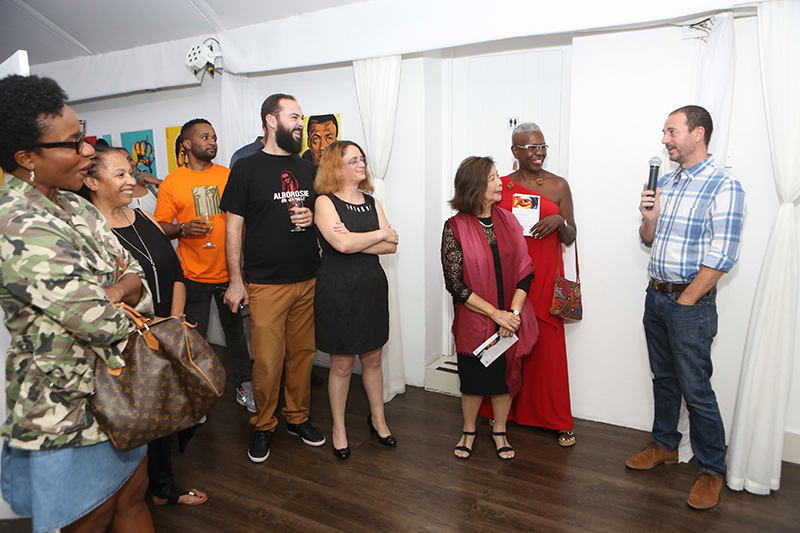 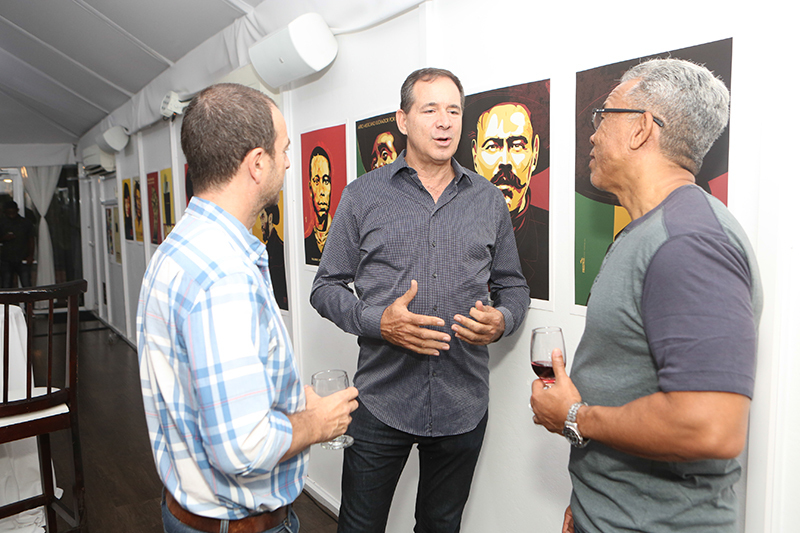 The current exhibition, FREESTYLEE ROOTS, opened in Kingston on November 18 at Spanish Court Hotel. 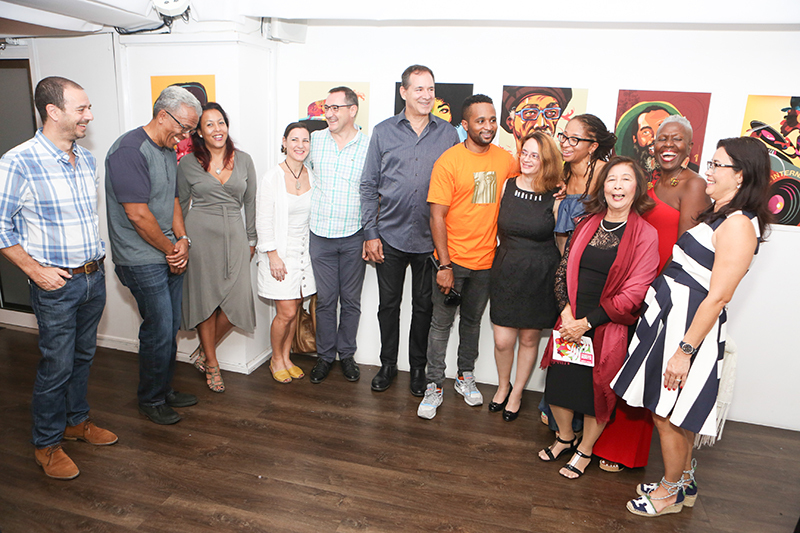 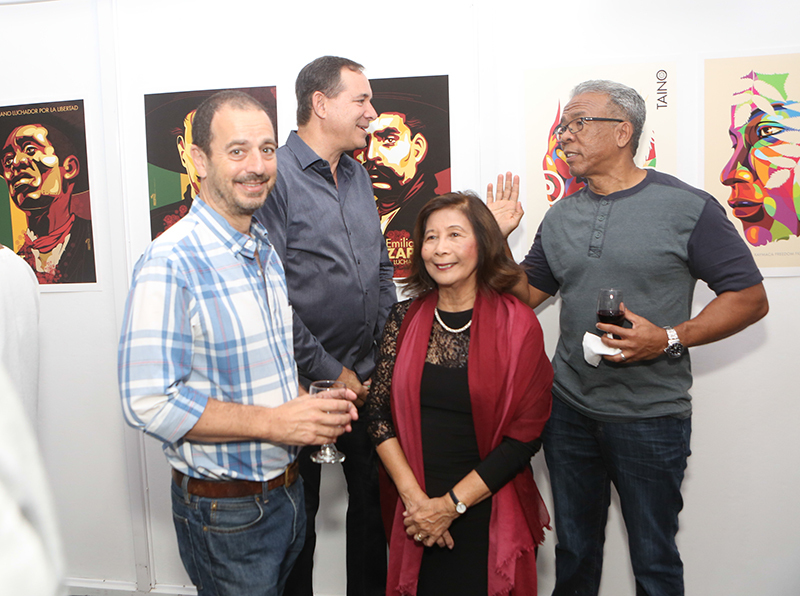 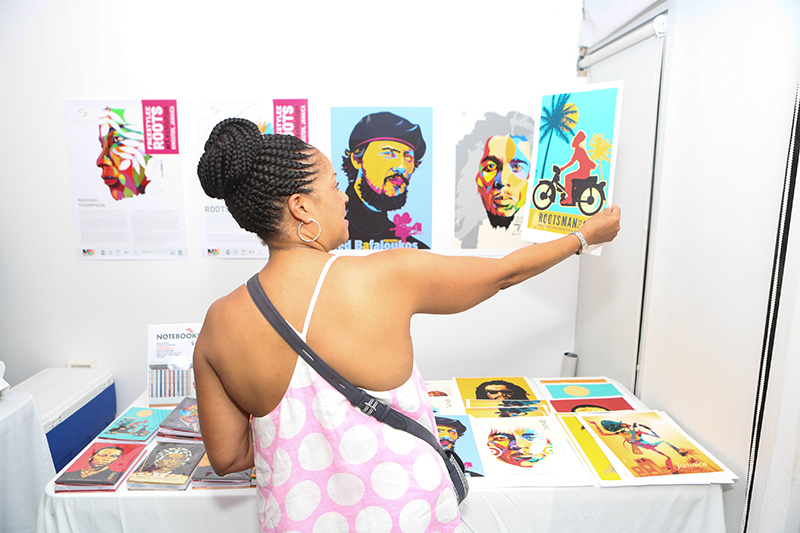 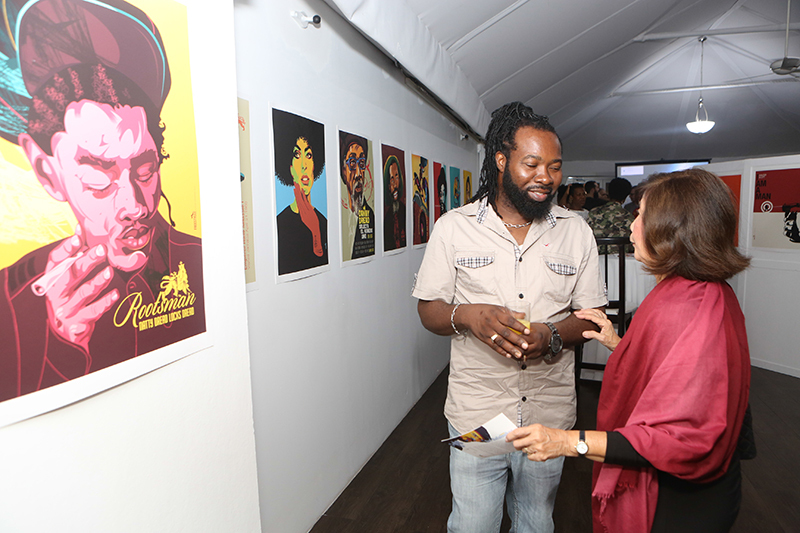 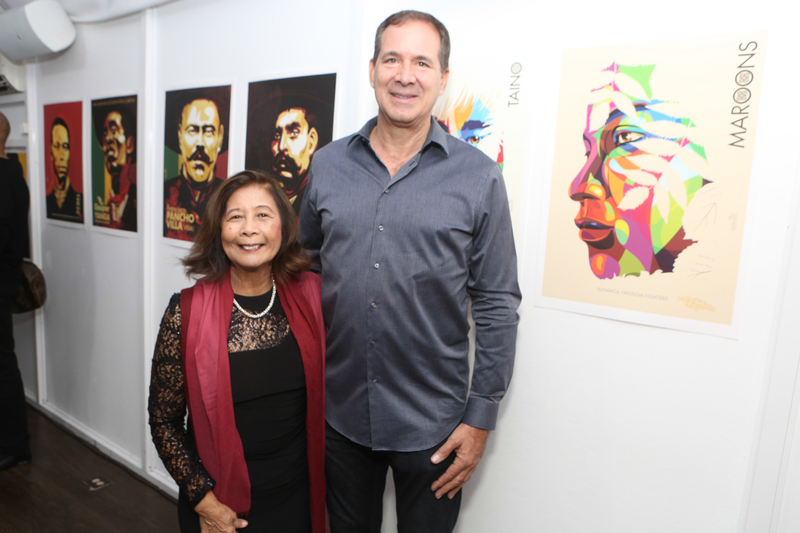 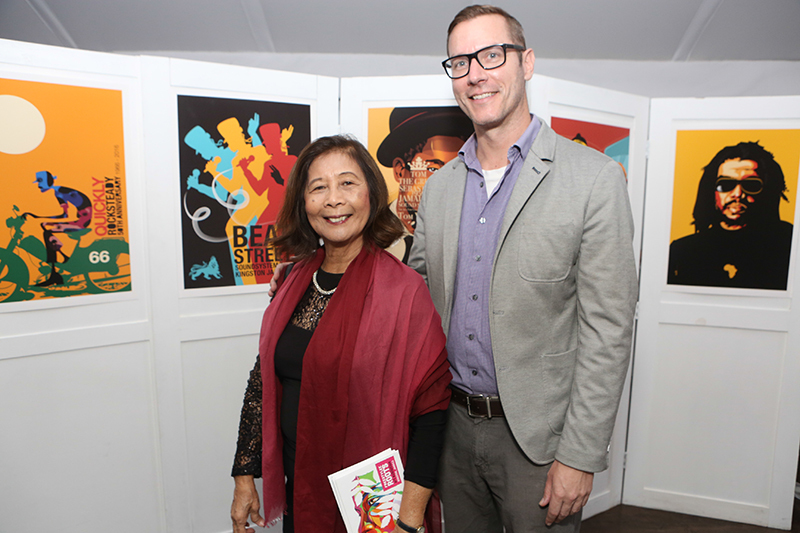 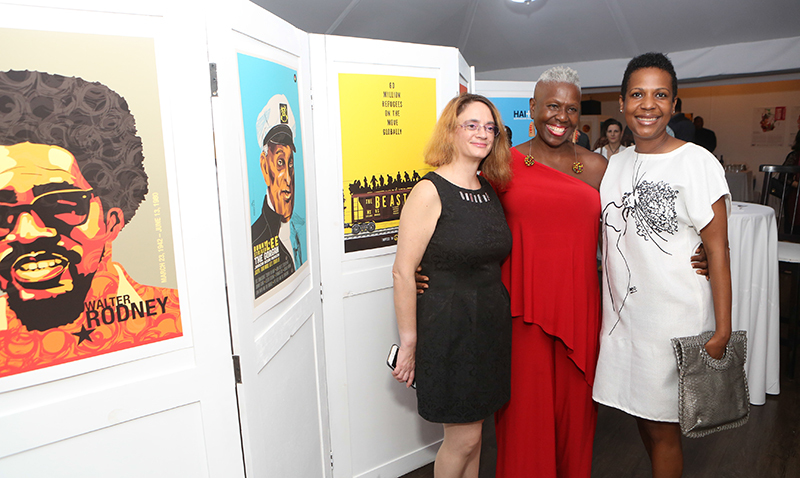 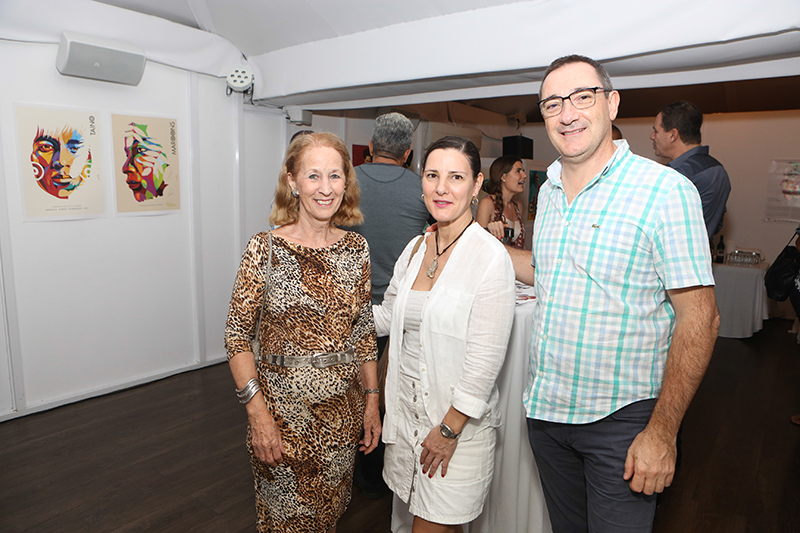 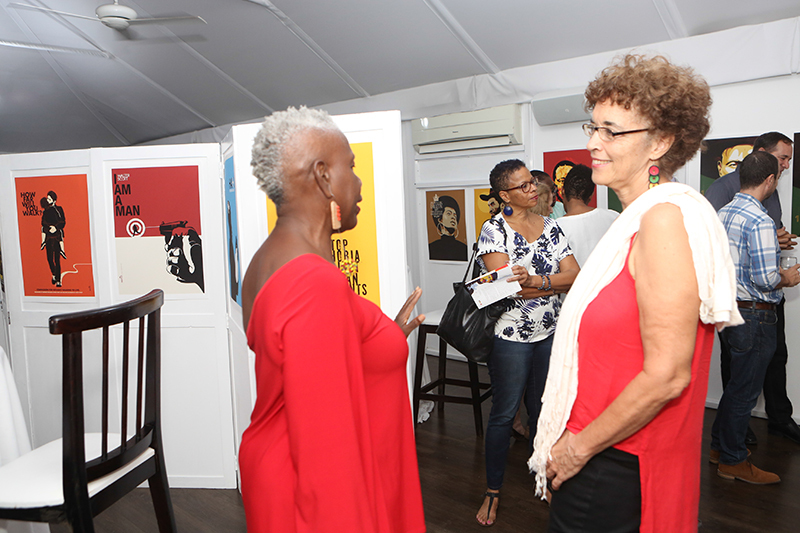 The exhibition was curated by Maria Papaefstathiou, co-founder with Michael of the International Reggae Poster Contest. 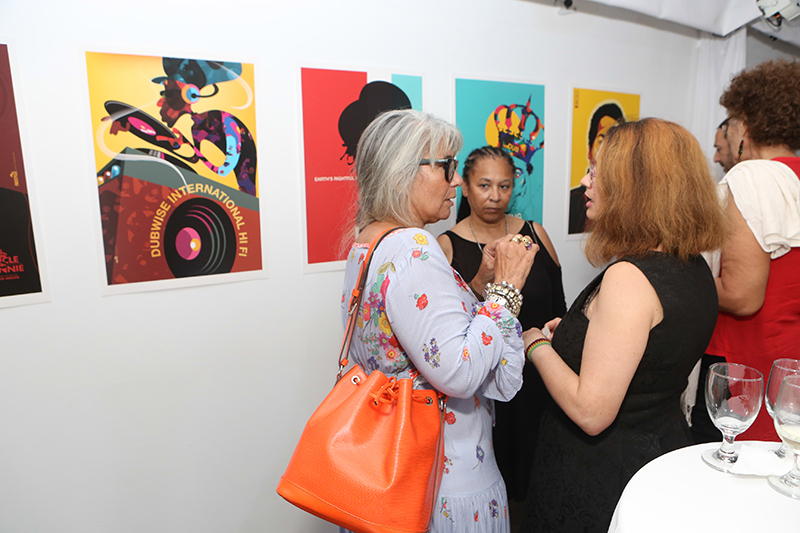 She collaborated with Michael’s widow, Maria Hudson, and his son, Dane Thompson to produce an arresting exhibition. 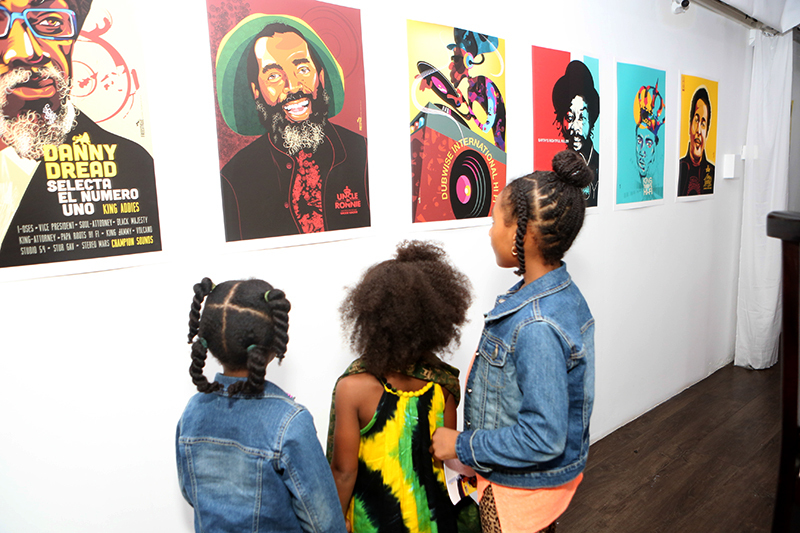 FREESTYLEE ROOTS showcases 50 iconic posters that penetrate beneath the surface, reaching to the foundations of Jamaican culture. 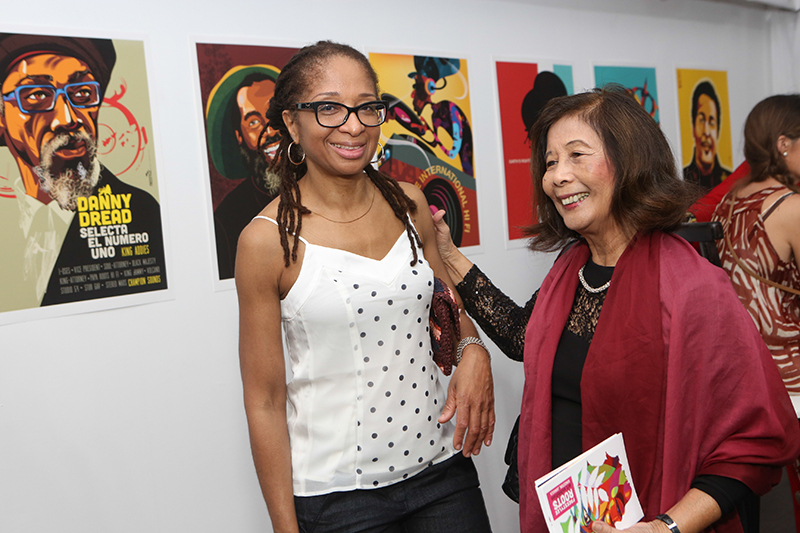 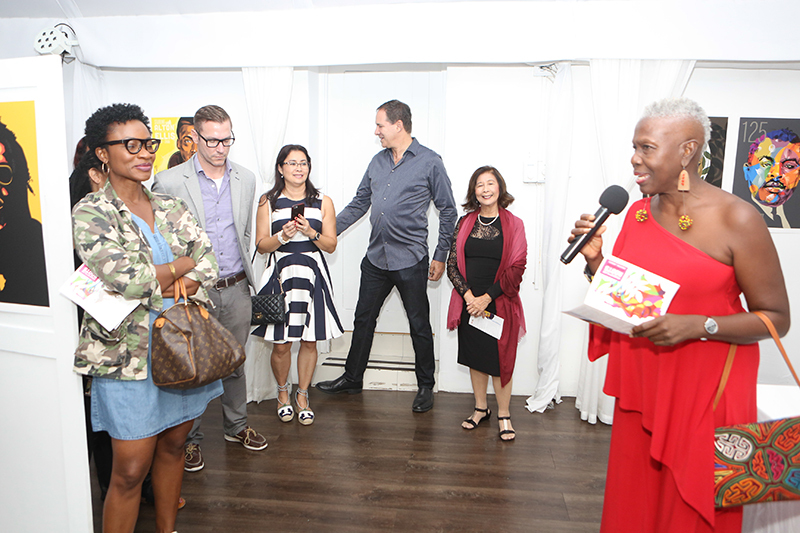 Dr. Carolyn Cooper, a board member of the International Reggae Poster Contest, emceed the launch. 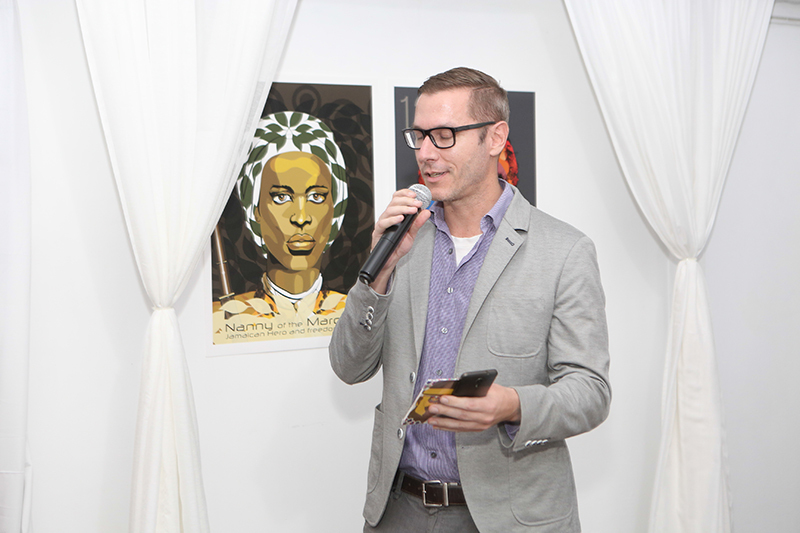 Chistopher Isaa, CEO of the hotel, welcomed guests and spoke warmly about Michael. 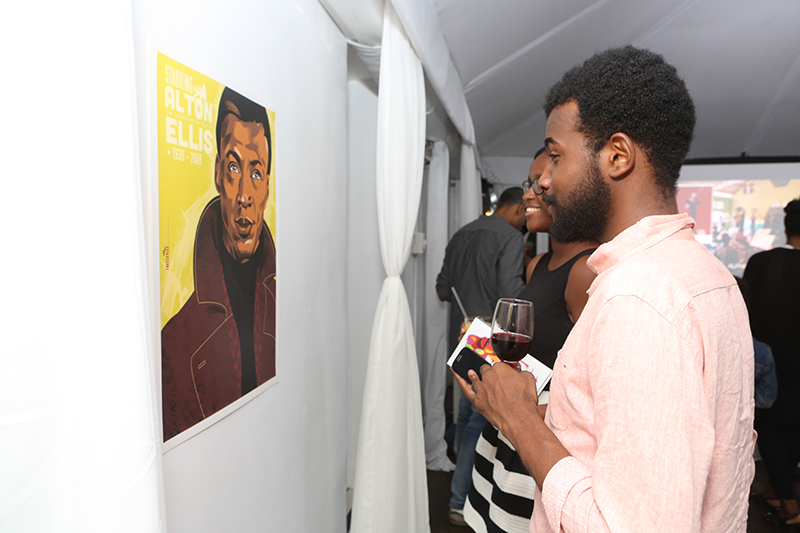 Then Dane tearfully paid tribute to his father. 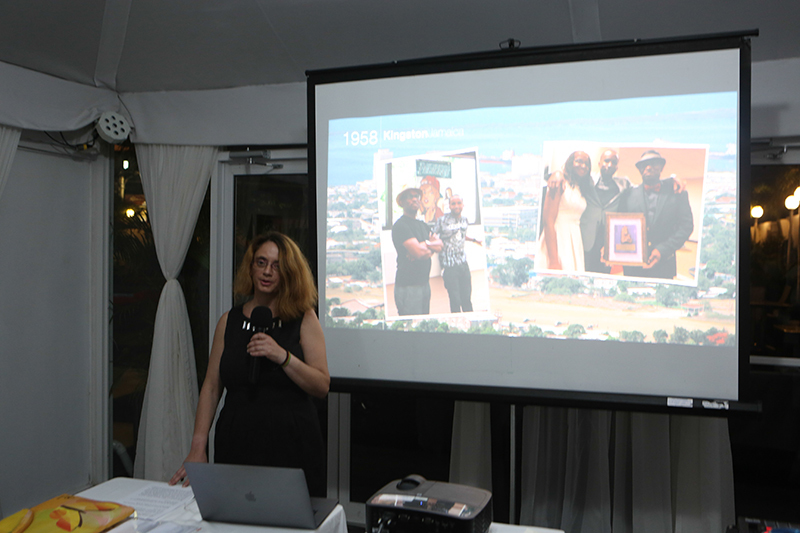 Maria Papaefstathiou, guest speaker, deeply moved the audience as she presented the life and work of Michael. 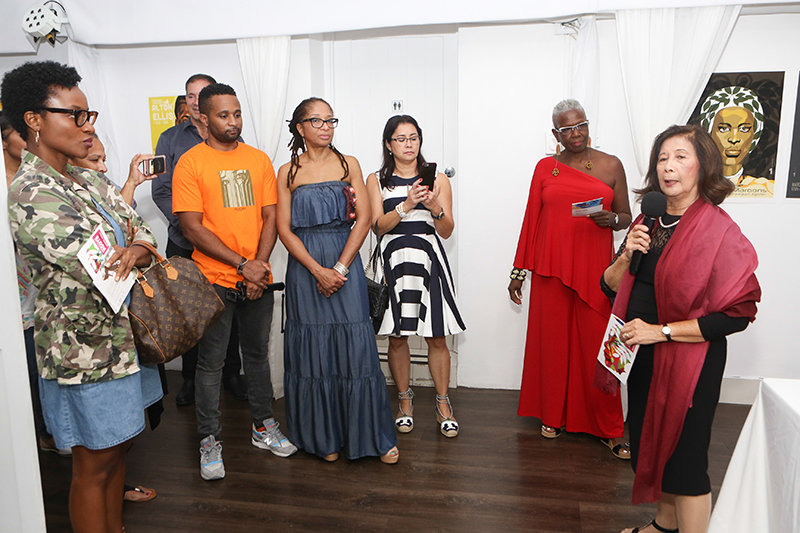 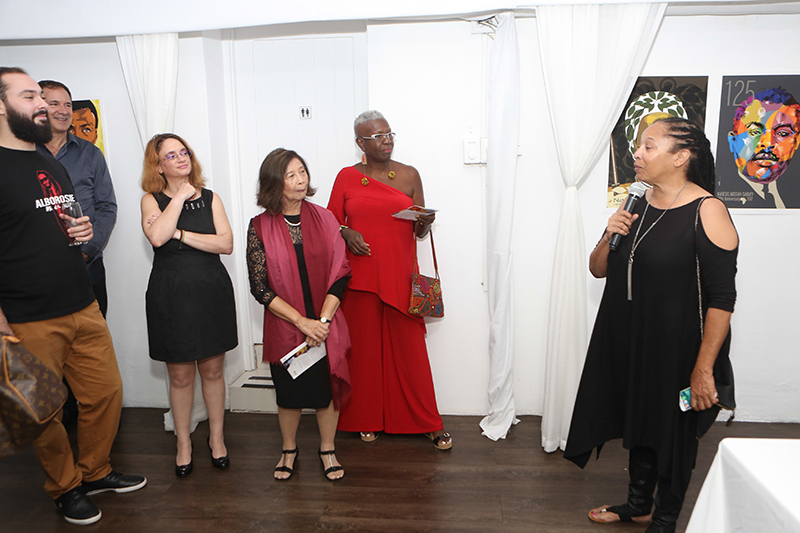 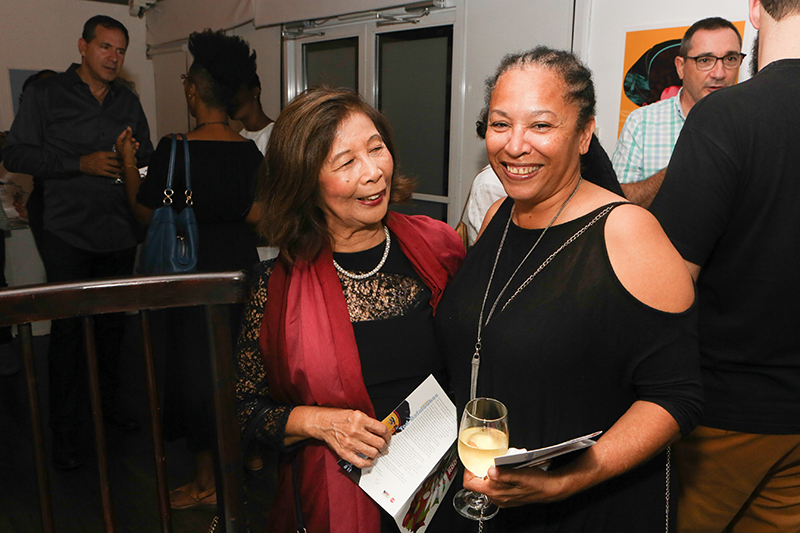 Patricia Chin, co-founder of VP Records; Andrea Davis, founder of International Reggae Day July 1 and Dr. Joshua Chamberlain, a consultant at the Alpha Boys’ School, all spoke passionately about Michael’s generosity. 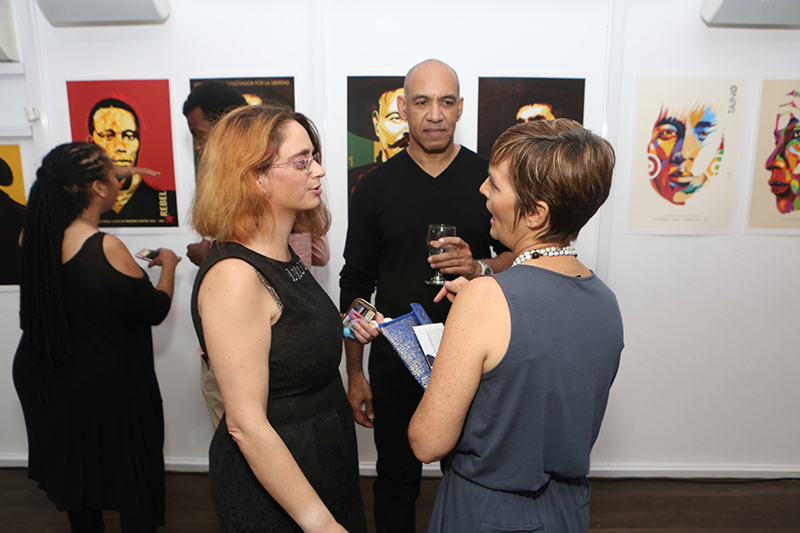 And Geoff Lewis of Paperboy Printers who printed the posters so beautifully talked about the conversations in the printery about Michael’s engaging work. 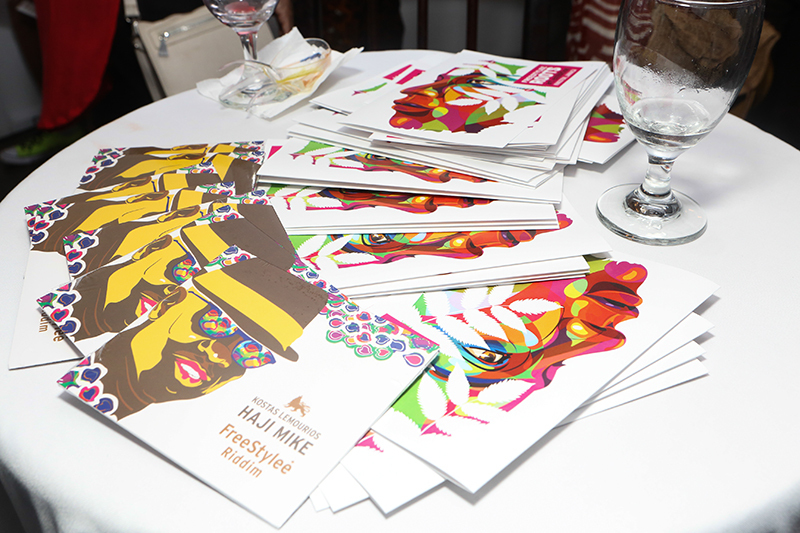 He said it was such a relief from the tedium of printing business cards to enjoy Michael’s artistry. 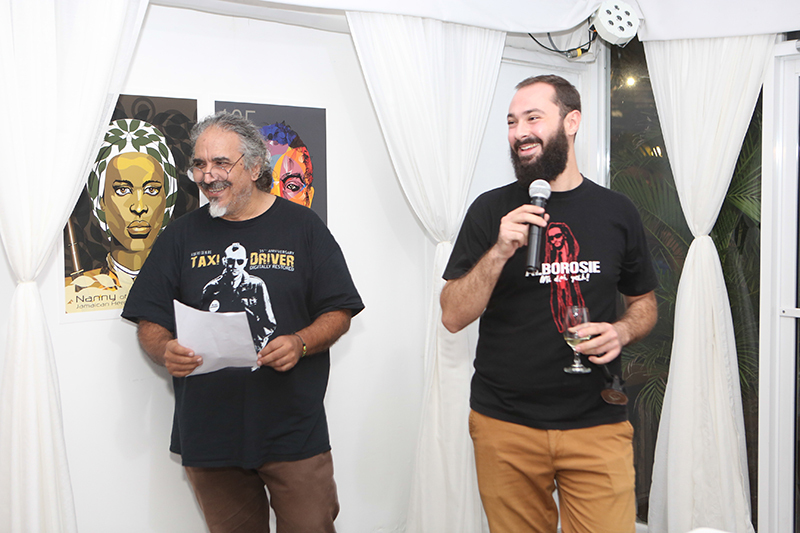 Dr. Mike Hajimichael, a lecturer in media and cultural studies at the University of Nicosia in Cyprus, performed the song ‘FreeStylee Riddim’, dedicated to Michael. 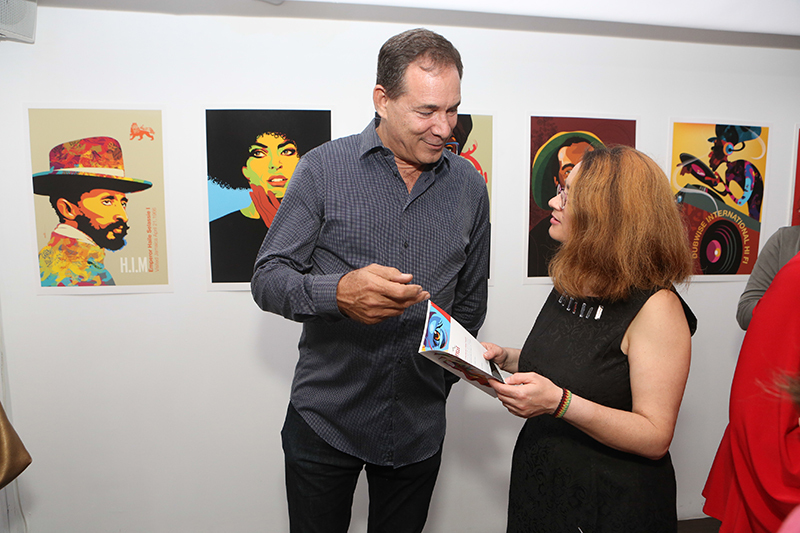 Mike wrote the lyrics and the music was composed by Kostas ‘Lemourios’ Margaritakis, a lawyer and reggae music composer from Greece. 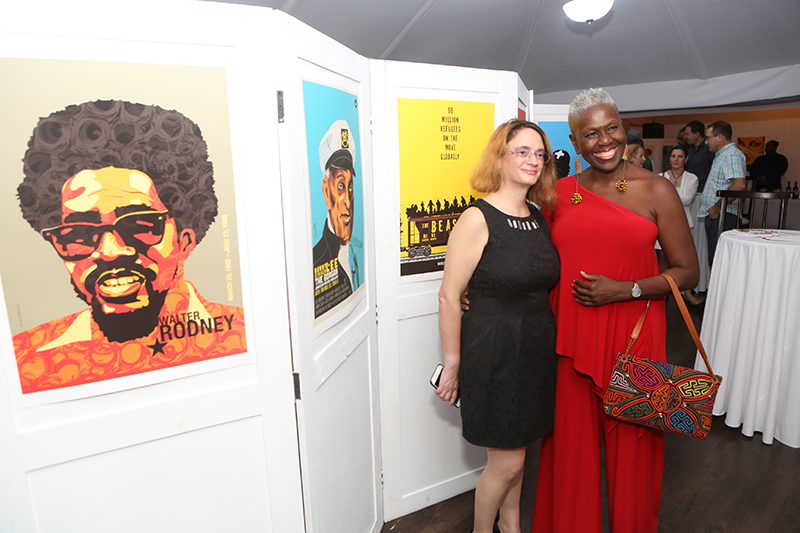 Maria Papaefstathiou designed the beautiful cover for the single which was released by VP Records and given away to the audience. 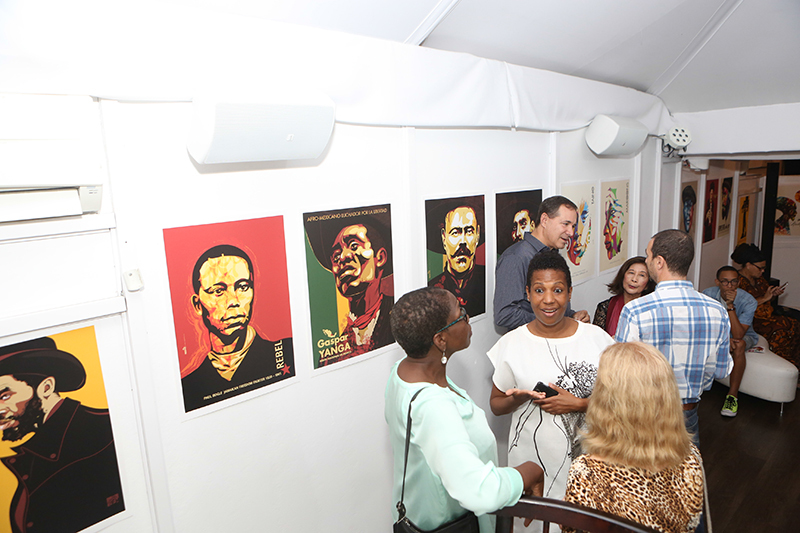 The exhibition moves to the University of the West Indies Museum for a two-week run from December 5-15.